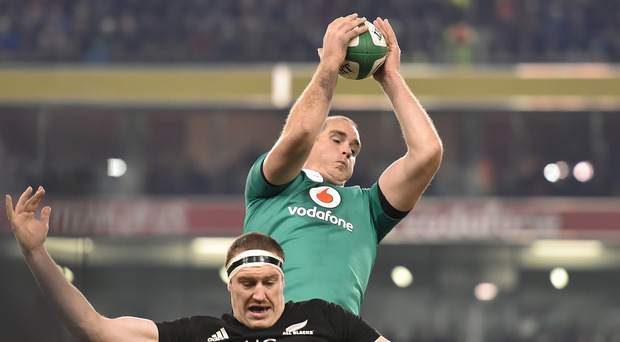 On this week's epsiode of The Left Wing, Will Slattery and Luke Fitzgerald are joined by Wasps and former Leinster out-half Jimmy Gopperth to preview Ireland's blockbuster clash with New Zealand. It's world number two hosting world number one at the Aviva Stadium on Saturday and Gopperth cannot wait to watch the action unfold. He says that Ireland have to hold onto the ball for long periods and frustrate the All Balcks if they want to come out on the right side of the result. Gopperth also thinks that Joe Schmidt should be given the chance to succeed Steve Hansen as All Blacks head coach after the 2019 World Cup. Fitzgerald thinks that it could be a tough day for Ireland, as is predicting that the visitors will win by at least two tries. Luke also looks back on his clashes against the All Blacks as a player, including the heartbreaking 22-20 defeat in 2013.